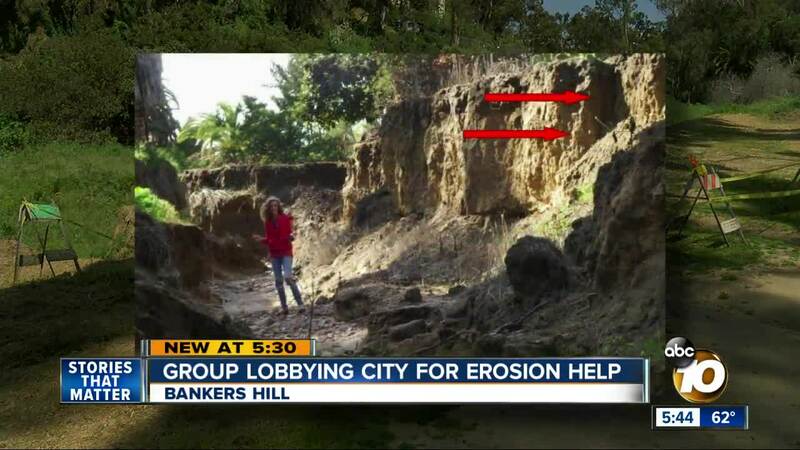 SAN DIEGO (KGTV) - Members of an environmental are lobbying San Diego City Council to assist with erosion control. San Diego Canyonlands is applying for a $2 million dollar disaster relief grant for Maple Canyon. The nonprofit says sediment from the hillsides get caught in the storm drains when it rains — clogging them and ultimately flooding the streets affected. Maple Canyon runs on along Laurel Street from Bankers Hill to Interstate 5. Bowlby presented in front of City Council Tuesday and says they expect council to approve the funds for their modifications by summer.